How Much Savings Is Considered Healthy? Saving prepares you for life events. Deciding how much savings is right for you depends on your age and your financial goals. But there are certain life events that affect nearly everyone, and you need savings to be prepared for them. These events include emergencies, building a family and retirement. The most common emergencies you are likely to face are job loss and unexpected loss of a spouse. If these things never happen, consider yourself blessed. However, the odds are that you will encounter one or both of these financial emergencies in your lifetime, so you need to be prepared. Most experts agree that a prudent emergency fund requires at least six months of your monthly income and that everyone should save at least 10 percent to 15 percent of every paycheck. If you currently have no savings, you'll want to save more than that to start with until you reach the six-month target. Once you have your emergency fund, keep saving at least 10 percent of your income. This should be a lifelong habit. It's called paying yourself first. If you're like most people, you will likely raise children at some point in your life. Two common financial goals are buying a home and saving for college. In both instances, you want to save more than the 10 percent to 15 percent of every paycheck you set aside for your emergency fund. Most financially sound mortgages require a 20 percent down payment, so you'll need to determine what kind of house you can afford and how much you can save each month to reach that 20 percent. College savings will depend on the age of your child and what type of school you think you can afford. For example, private universities typically cost a lot more than state-run universities. You should also take advantage of tax-free growth options such as a 529 plan. Assessing your life expectancy for retirement is essential. The U.S. average tends to be in the mid- to late-70s, but that can be deceiving. If you've lived a healthy lifestyle, you might live longer. You don't want to outlive your money. A conservative planner might tell you that you need to save 33 times your annual income for your first year of retirement. This assumes you will spend your current level of income annually for 33 years past retirement. Subtracting what you expect from Social Security reduces the years of savings needed, but this calculation doesn't consider the possibility of lower expenses. Other analysts put the number at closer to 20 times your current income when taking into account lower taxes and lower expenses. You should remember, however, that reduced expenditures means a different lifestyle. Tax-advantaged retirement plans, such as IRAs and 401(k)s are always recommended, because the earlier you start, the longer those advantages compound over time. Saving for your financial goals requires avoiding unnecessary purchases. If a vacation this year will cut into your annual savings goal, wait until next year to take it. Sticking to your plan and paying yourself first will reap bigger rewards in the end. Capital One: Savings Basics — How Much Savings is Enough? 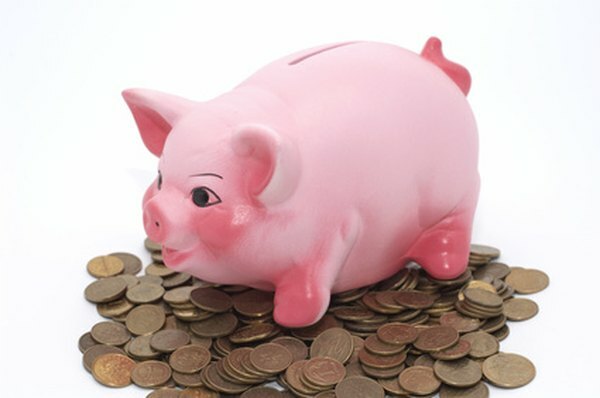 National Public Radio: Saving for Retirement: How Much Do You Need? Wayne Marks has more than 20 years of experience in finance, education, public relations and marketing in both New York City and Washington, D.C. He has worked for corporate and nonprofit organizations and holds a certificate from the Wharton School of Business. What Should Your Nest Egg Be When You Retire?